Pre-heat oven to 200c. Place onion, peppers, garlic and whole tomatoes in a roasting pan. Season with salt and pepper and cover with a generous glug of olive oil. Roast for 40mins. Gently fry Smoked Paprika for 1 minute in a little olive oil in a large saucepan before adding your cans of tomatoes, chickpeas, black beans and stock. Bring to a gentle simmer. Add zest of orange and then squeeze in the juice before discarding pulp. Add Huffman’s Chilli Pepper Hot Sauce. 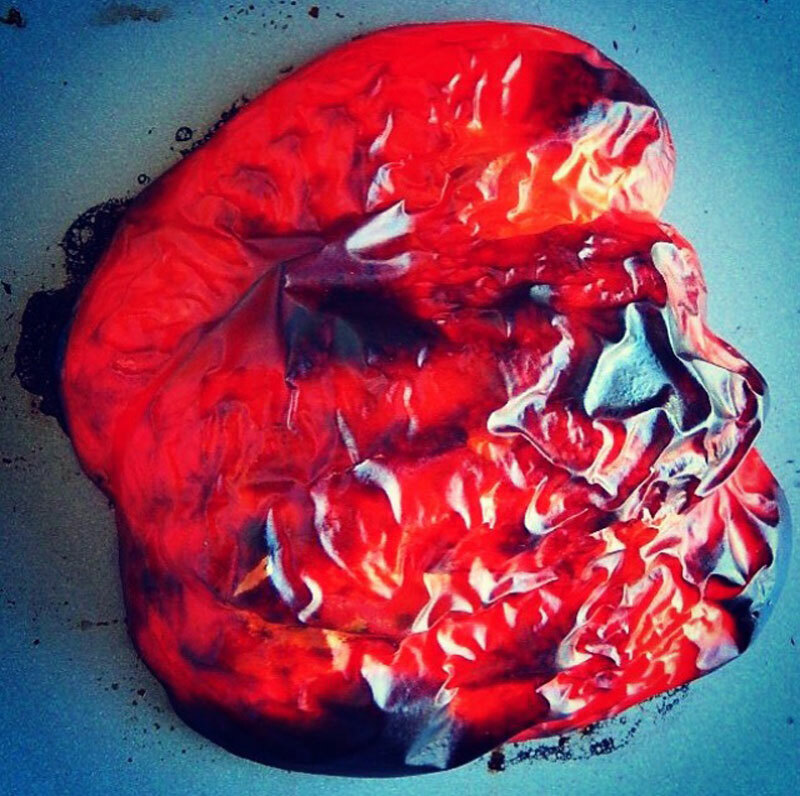 Remove roasting pan from the oven and place peppers and tomatoes in a ziplock bag. Squeeze garlic into your soup from the skins and discard these. Peel the skins from your peppers and tomatoes after they have sat for a few minutes in the bag. Then roughly chop with the onion. Add these and Huffman’s Chilli Pepper Hot Sauce along with any pan residue to your soup. Bring soup up to simmer, taste and adjust your seasoning before serving with garlic bread; Loaf’s Garlic Ciabatta is our favourite.